Hello there! We’re building a diverse, passionate & harmonious professional community in our beautiful coworking (shared office) space in The Bywater. We invite you to visit our community and see if this space and community is right for you. You’ll get a trial membership credit if you decide to join! Who Are We? 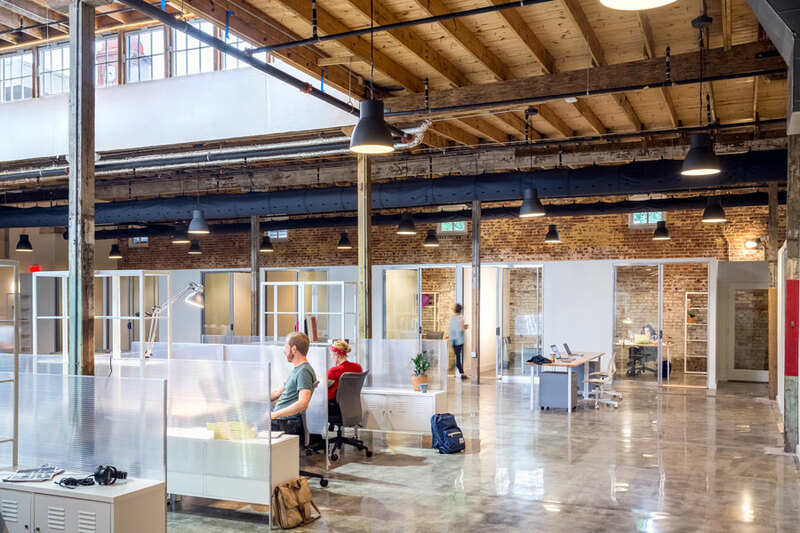 A group of freelancers and small business professionals created The Warehouse to serve the unique needs of New Orleans-based freelancers and small businesses. Our initial members, a diverse group of passionate & cooperative professionals, have found that The Warehouse is an ideal work environment for their needs. Discount Introductory Offer: We’re offering a week (5 consecutive business days) of coworking for a discounted rate of $50. Our membership options range from $150/month (shared workspace) to $1250/month (private office suite). We also offer a “punch card” for 10 days of coworking for $250 with no expiration date. Coworking hours are 9am-5pm Monday through Friday. Members with permanent desk space or private offices retain all-hours access.